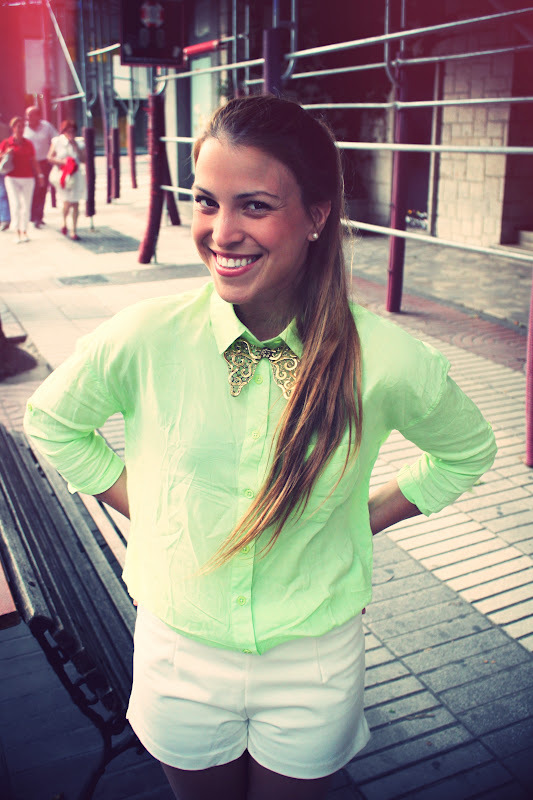 Drifting Nomad | Fashion, Travel, Lifestyle: Neon green, leopard & gold collar. 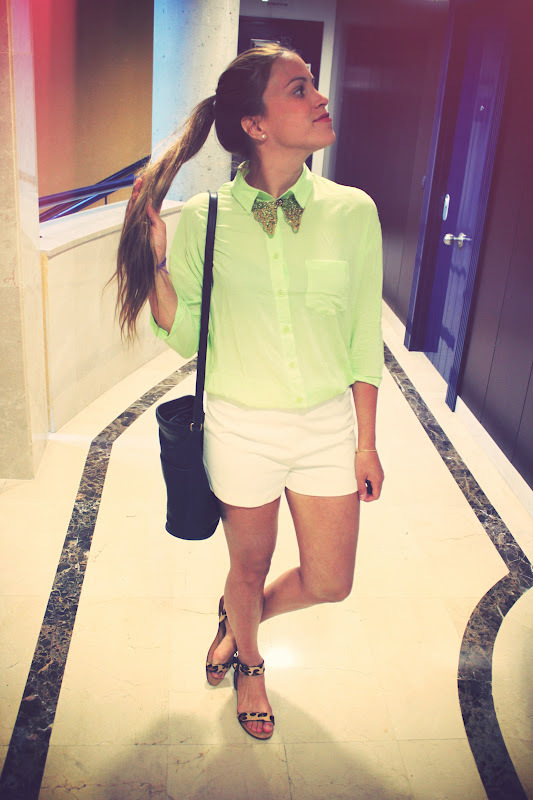 Neon green, leopard & gold collar. On my way to Flash Flash, one of my favorite restaurants in Madrid, for my little brothers birthday. Wearing a Romwe blouse I have in two other colors, Zara leopard sandals, H&M shorts, Coach bag, and one of Romwes amazing collars I held a GIVEAWAY on. Speaking of GIVEAWAYS, stay tuned for my next one! I will be giving away a gorgeous bag in collaboration with HAZELNUT. You can't miss out on it! De camino a Flash Flash, uno de mis restaurantes favoritos en Madrid, for el cumple de mi hermano pequeño. Llevo una blusa de Romwe, sandalias de Zara, shorts de H&M, bolso Coach y uno de los maravillosos cuellos/collares que regale con Romwe hace poco en mi ultimo sorteo. Hablando de sorteos, no se pueden perder el siguiente que voy a hacer de la mano de HAZELNUT! Sortearemos un bolso precioso! No se lo pierdan! Studded, skulls, two-sized & BAG GIVEAWAY! Unfollow me to the dark.